The revolutionary dry NitroBoost is excellent for new aquarium environments. It accelerates the nitrogen cycle in new tanks and naturally reduces ammonia and nitrite to create a safe environment for your aquatic creatures. NitroBoost will quickly and effectively cycle any new Fresh or Saltwater Aquarium, and enhances biological filtration for optimum water quality. It can also be used after routine water changes, adding new fish or after administering medication. 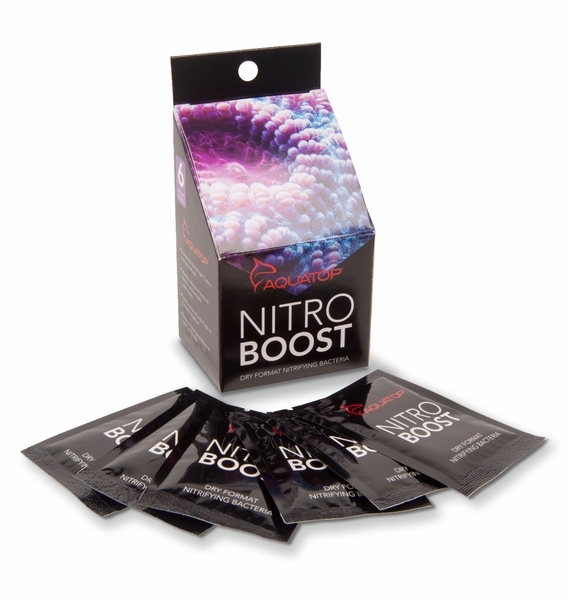 One packet of NitroBoost will treat up to 100 gallons of aquarium water, and six packets are included in each box. Safe for all aquatic life and plants!